This report presents the findings of a case study looking at irrigation systems in Injil District in Herat Province. 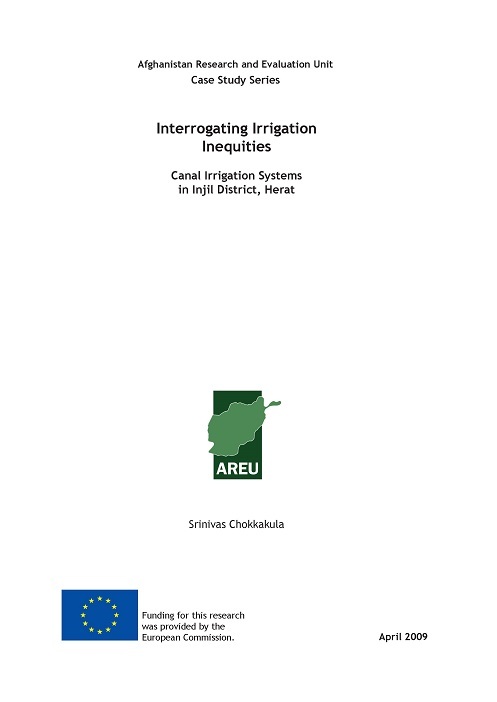 The purpose of the study was to understand inequities and inequalities in irrigation distribution in a typical canal irrigation system. Two canals of the Hari Rud river system flowing in Injil District, Herat Province, were selected as the focus of the study.